Just a quickie here. 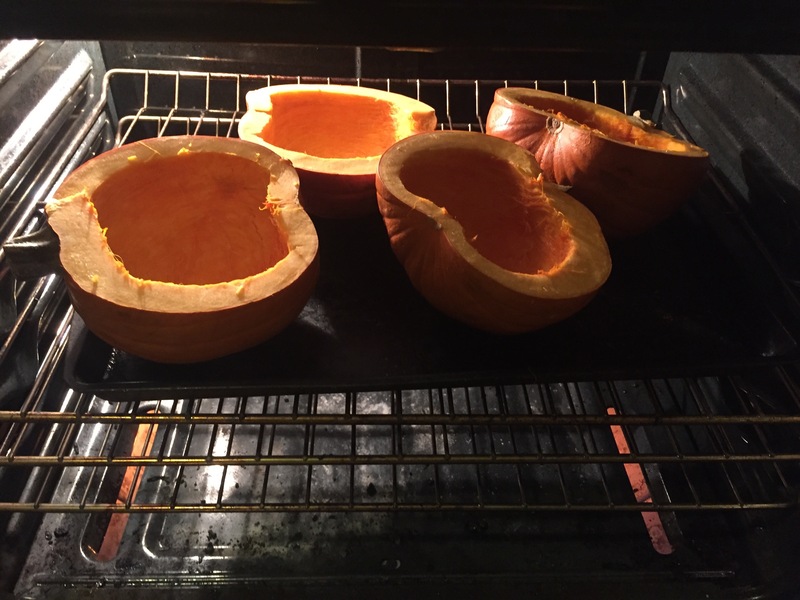 We had two small sugar pumpkins that we used as part of some games we played with the kiddos at our Halloween party. 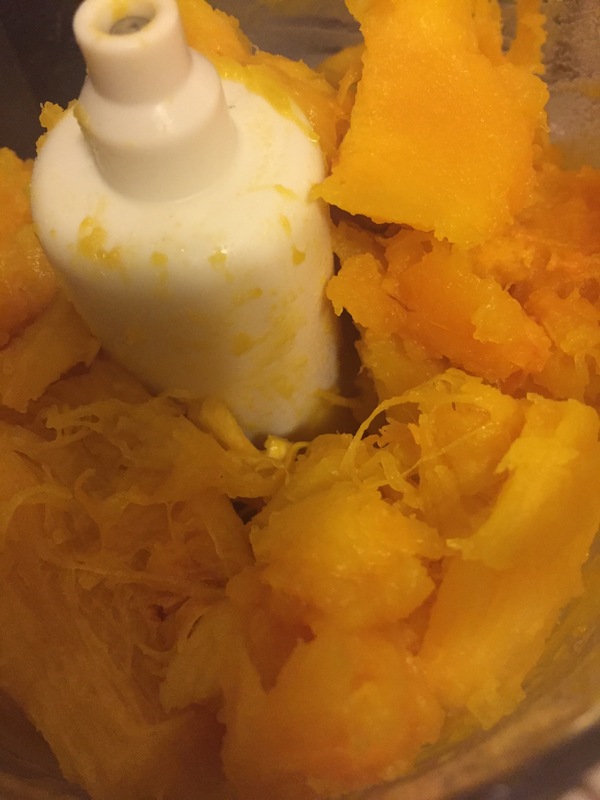 I decided not to let them go to waste and get some pumpkin purée made just in time for the holidays! I remember buying canned and can hear my grandma’s voice, “it’s so easy and cheaper if you make it yourself.”. As usual, she was right! 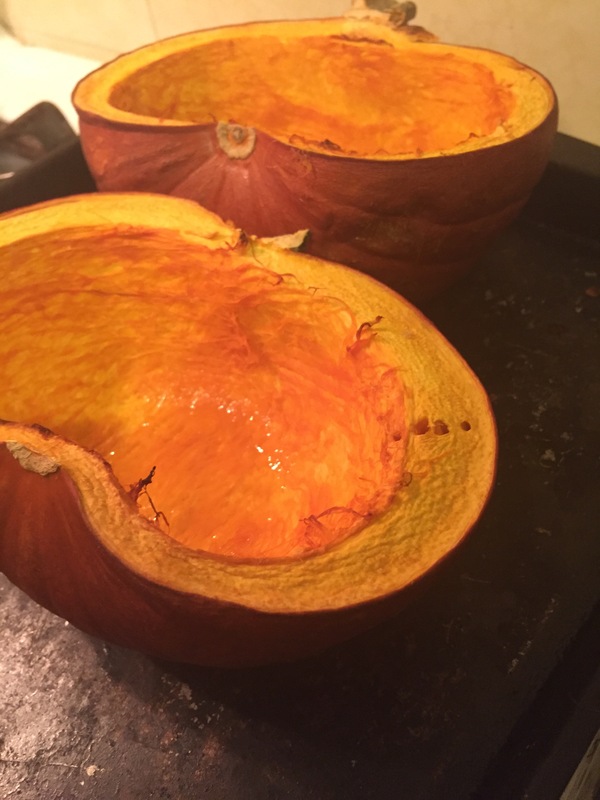 My two small pumpkins yielded nearly ten cups of beautifully smooth, perfectly orange, naturally sweet purée. The pumpkins were $2.99 each. Canned purée runs anywhere from $1.99-$3.99 depending on quality. Ten cups for six bucks and 45 minutes of my time was worth it! They baked while I ate dinner! Multi tasking up in here! 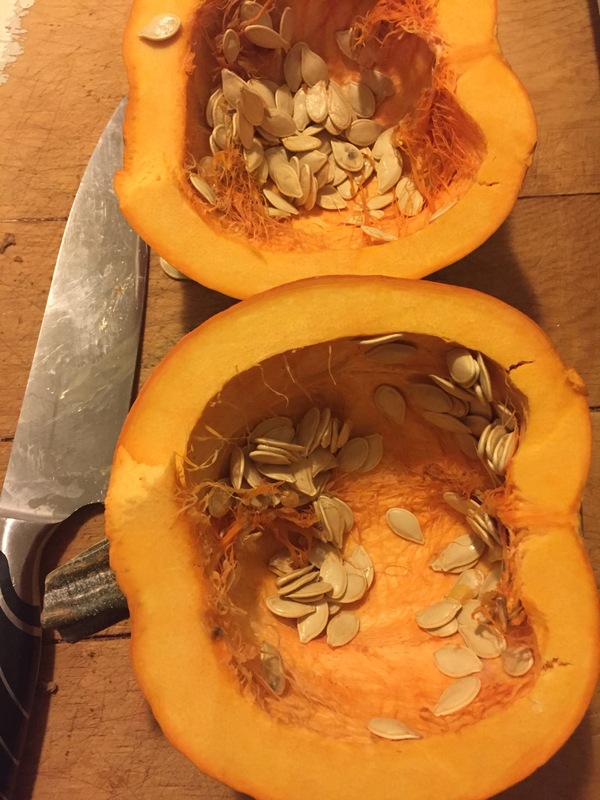 Cut the pumpkins in half and clean out the seeds and string. Scrape it out with a large metal spoon and place empty shells, cut side up on a baking sheet. Place them into a 375 degree oven. Test them with a fork after about 20 minutes and every ten minutes after until they are the consistency of a soft baked potato. 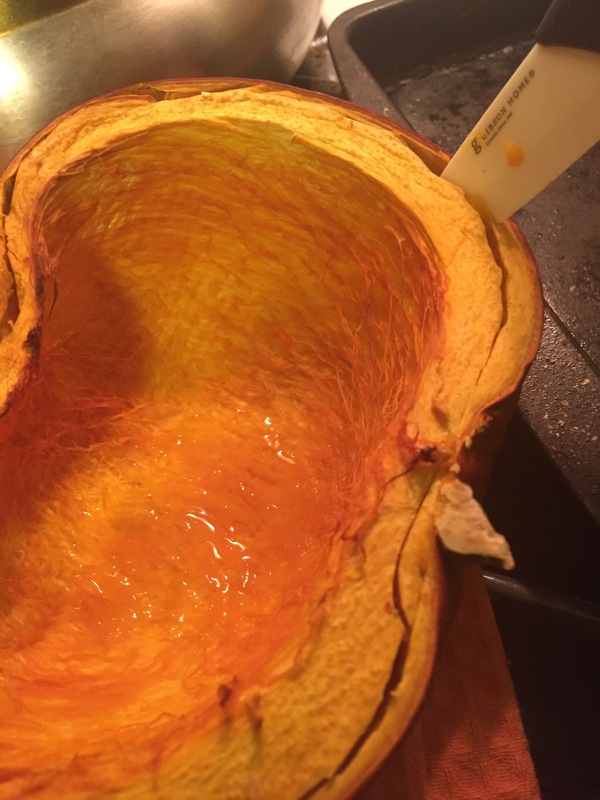 Allow to cool enough to be handled then take a pairing knife and run it along the edges of the pumpkins. 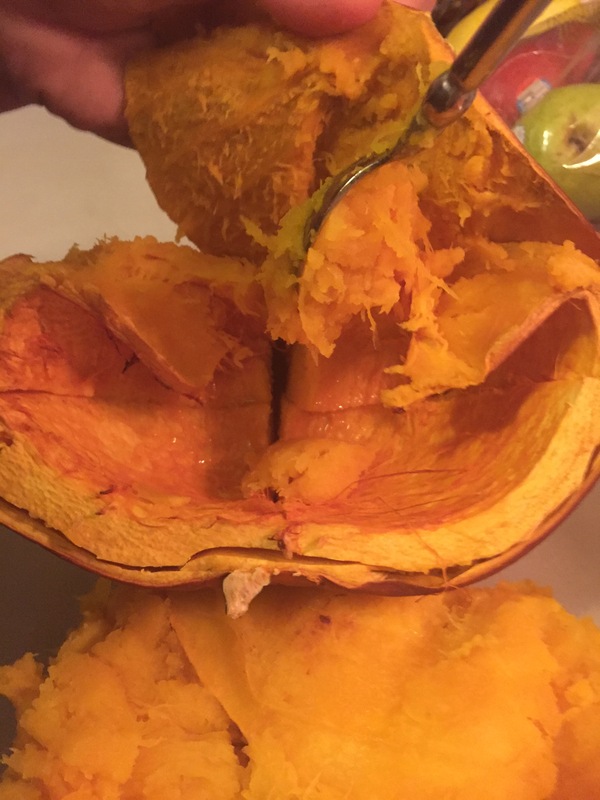 Then score an “X” across the interior flesh of the pumpkin. 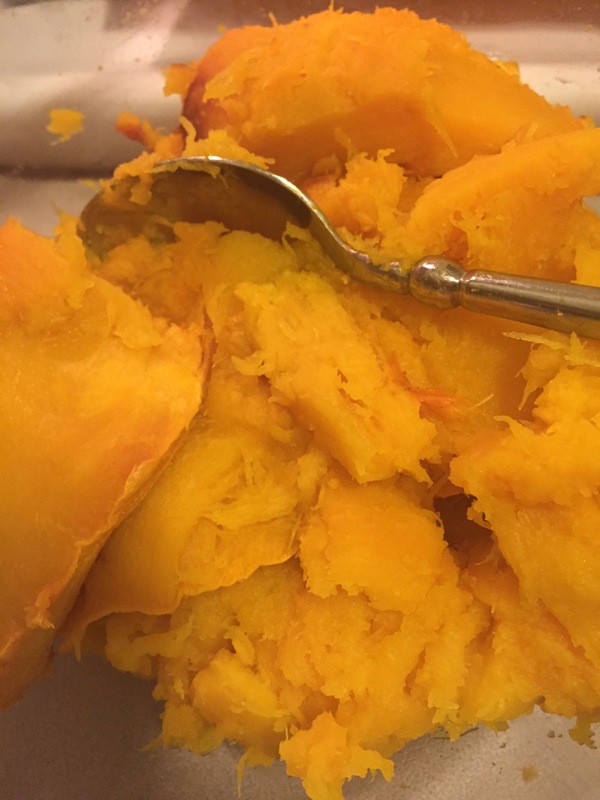 You should be able to scrape the flesh from the outer skin fairly easily with a spoon. If not, put it back in the oven. 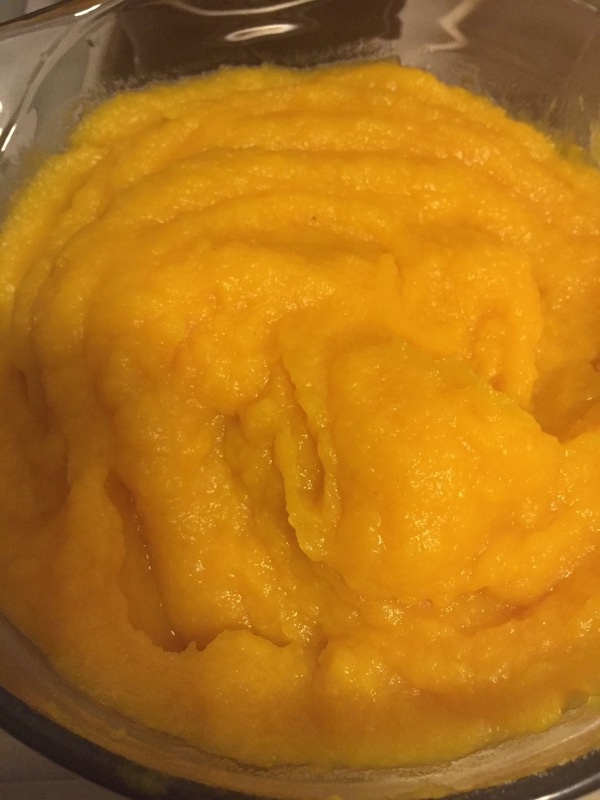 Once you have the meat of the pumpkin separated from the skin, you can begin the purée process. If you have a vitamix type blender, you can put it to use here. I used my food processor. Small batches will be easier to manage and achieve consistency and smoothness for a good purée. Once complete, you may easily store in the freezer until ready to use. Using freezer bags, measure two cup portions and lable with the date and the measurement. Lay them on top of each other so they will freeze flat and stackable. Now you’ve got amazing purée for pies, cookies, breads, soups and much much more!